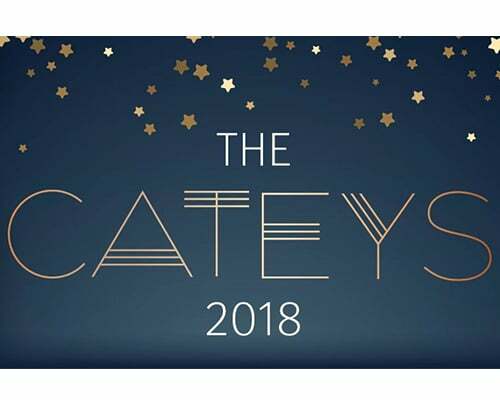 Bunzl Catering & Hospitality Division are delighted to announce that we will once again be partnering with The Caterer to headline sponsor The Cateys 2018, an event that is considered the Oscars of the hospitality industry. Now in its 35th year, The Cateys have become firmly established as a celebration of all that’s great in UK hospitality. This year the glamorous awards show will be taking place at Grosvenor House in London, on the 3 July 2018 and will showcase innovative brands and trail-blazing people from across hotels, restaurants, foodservice and pubs & bars. As well as headline sponsorship, Bunzl Catering & Hospitality Division will also be sponsoring two individual award categories: Hotel of the Year – Group and Restaurateur of the Year – Group. Last month more than 100 judges, chosen for their expertise and industry knowledge, met at London’s Dorchester hotel for three days of intense debate to discuss the nominees, produce a shortlist and select the winners. There is no shortlist for the International Outstanding Achievement Award, the Special Award, sponsored by Johnsons Stalbridge, and the Lifetime Achievement Award, sponsored by Berkeley Scott. Bunzl Catering Supplies will be sponsoring an award category at the Hotel Cateys 2018. Bunzl Catering Supplies sponsor the Catering Manager of the year award category at the Foodservice Cateys 2018.